PHILLY BOXING HISTORY - September 22, 2017 - "JESSE HART VS. DASHON JOHNSON NAMED "2016 PHILLY FIGHT OF THE YEAR"
"PHILLY PHOTO OF THE YEAR"
On the brink of his first shot at a world title, super middleweight Jesse Hart commented on his March 18, 2016 fight against Dashon Johnson, which was named the “Philly Fight of the Year”. Hart was generally in control in the fight, but had to battle back from the Californian’s aggressive rushes that had him in trouble in round six and on the floor in round ten. Hart climbed to his feet and went on to win the decision after ten exciting rounds It was a memorable fight on a great night of Philly boxing. 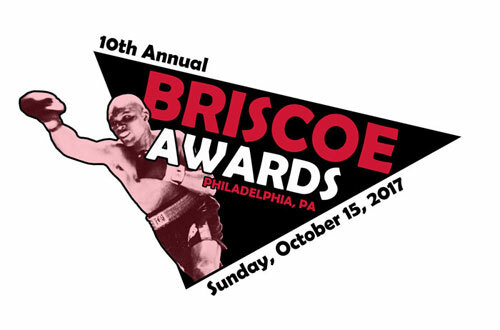 On October 15th, Hart and Johnson will be honored at the 10th Annual Briscoe Awards for their excellent fight and the page in Philly boxing history that they created together. Of course, first on Hart’s mind is his chance to win the WBO super middleweight championship Friday night in Tucson, AZ. The "2016 Philly Fight of the Year" award is sponsored by the IBF / USBA.